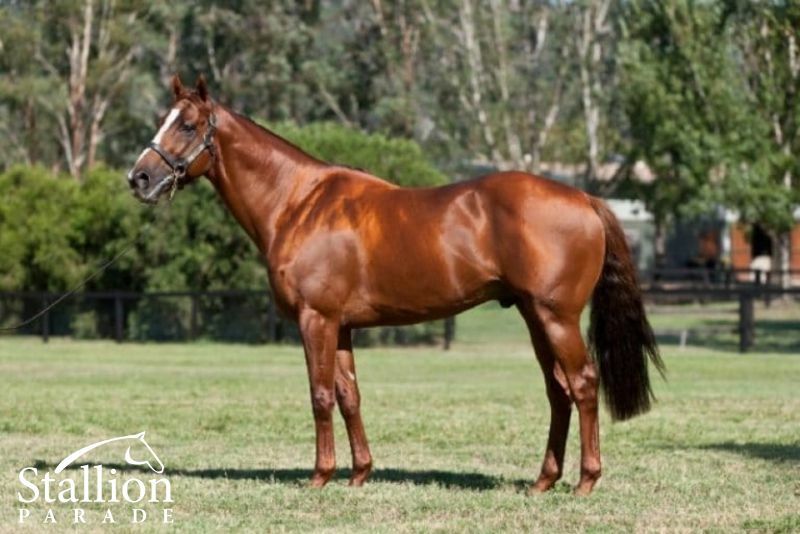 HUSSON Champion 2YO Colt in Argentina in 2006 & Champion Miler in Argentina in 2007-08. 5 wins-3 at 2-from 1200m to 1600m, San Isidro G.P. Raul y Raul E Chevalier, Gr.1, 1400m-in track record time, G.P. Gran Criterium, Gr.1, Palermo G.P. de las Americas, Gr.1, Clasico Benito Villanueva, Gr.2, Especial Parfait Amour. He entered stud in Argentin in 2007. He entered stud in Aust. in 2008. Sire of 408 progeny to race, 261 winners (63.0%), earnings of over $27 million, 15 stakes winners, 16 stakes placegetters, inc.
LUCKY HUSSLER (09g, Black Hawk, Helissio). 10 wins from 1200m to 1600m to 2017-18, A$2,143,850, MVRC William Reid S., Gr.1, MRC Toorak H., Gr.1, MVRC Schweppes Crystal Mile, Gr.2, BRC George Moore S., Gr.3, Vo Rogue P., Gr.3, MRC Moonga S., Gr.3, Kevin Heffernan S., Gr.3, GCTC Magic Millions Cup, RL, BRC Mount Franklin H., Australian Workplace Test & Tag H., 2d VRC Emirates S., Gr.1, MRC CF Orr S., Gr.1, VRC Headquarters Tavern S., L, MRC Le Pine Funerals H., 3d BRC Queensland Guineas, Gr.2, MVRC Schweppes Crystal Mile, Gr.2, BRC Daybreak Lover S., L, MVRC Chandler Macleod S., L, 4th VRC Bobbie Lewis H., Gr.2, BRC Lough Neagh S., L, Gold Edition P., L.
FROLIC (14f, Redoute's Choice, Star Way). 2 wins at 2, A$1,035,050, ATC Reisling S., Gr.2, Inglis 2YO Classic, RL, 2d ATC Golden Slipper S., Gr.1, TAB Rewards 2YO H., 3d Scone RC Inglis 3YO Guineas, L, ATC Summer Sprint H., 4th ATC Light Fingers S., Gr.2. MORAL VICTORY (09g, Shinko Forest, Rory's Jester). 8 wins from 1000m to 1600m, A$429,200, ATC Shannon S., Gr.2, Theraces H., Big Sports Breakfast H., Instagram H., City Tattersalls Club H., 2d Goulburn Cup, ATC Alpha Flight Services H., 3d ATC Palmerbet H., Ranvet H., TAB Place Multi H., Horse Racing Federation H., More Than Ready at Vinery H., 4th ATC Villiers S., Gr.2. RUSSON (08c, Roar, Cipayo). 10 wins from 1300m to 2000m, Monterrico Clasico Miguel A Checa Eguiguren, Gr.3, Clasico Batalla de Tarapacá, L, Clasico Coronel Francisco Bolognesi, L-twice, 3d Monterrico Clasico Pedro Garcia Miro, Gr.3, Clasico Baldomero Aspillaga, Gr.3, 4th Monterrico Clasico Almirante Miguel Grau Seminario, Gr.2, Clasico Pedro Garcia Miro, Gr.3. SABAT HUSSON (08c, Fitzcarraldo, Verbatim). 7 wins from 1400m to 1800m, La Plata Clasico Hipodromo de La Plata, Gr.3, Palermo Clasico Japon, L, La Plata Especial Jockey Club de Venezuela, Palermo Especial Asidero, 2d San Isidro G.P. Estrellas Mile, Gr.1, La Plata Handicap Haras Orilla del Monte, Palermo Handicap Bigness Emperor, 3d La Plata Clasico Ignacio Correas. BOGANAIRE - OBRIGADO MAIS (MAC.) (12g, El Prado, Woodman). 10 wins from 1200m to 1800m to 2018-19, Macau Winter Trophy, L, Spring Trophy, L, Jockeys Challenge P., Altesse Royale H., Yunnan H., Dallas H., 2d Macau Directors' Cup, L, Kobe H., Hokkaido H., Race Horse Owners Association Charity Trophy, 3d Macau Sprint Trophy, L.
LADY HUSSY (08f, Forlitano, Forli). 4 wins-2 at 2-at 1000m, 1100m, La Plata Clasico Eusonio C Boni, L, Clasico Wilfredo Latham, L, San Isidro Premio Final San Isidro Million Productos, 2d La Plata Clasico Santiago Luro, 4th La Plata Clasico Raul Lottero, L, Clasico Revista Puros de Carrera, L.
RAIDO (11g, Royal Academy, Mister C). 7 wins to 1200m to 2017-18, A$302,180, GCTC Goldmarket H., L, ATC TAB Place Multi H., Schweppes H., BRC Espresso Martini di Bella H., GCTC Free Entry 30 Dec H., 2d GCTC Aquis Farm Pre-Training H., ATC TAB Rewards H., TFE Hotels H., Azek Ultimate Paver H., 3d ATC McGrath Estate Agents H., TAB Early Quaddie H.
FIRST CRUSH (11g, Choctaw Ridge, Benefice). 7 wins from 1500m to 2350m to 2017-18, A$391,050, Clarence River JC Grafton Cup, L, BRC Mandate H., Girl's Day Out Raceday H., Gallopers Sports Club H., 2d Qld Tatt's RC Members' Cup, L, SCTC Caloundra Cup, L, Ipswich Cup, L, BRC Suez P., SCTC Butler McDermott Lawyers H., 3d Toowoomba Cup, Qld Tatt's RC Laser Clinics Toombul H., BRC Relaxed Racing H., GCTC Become a Member H.
NOTHINGILIKEMORE (13g, Lonhro, Flying Spur). 6 wins from 1200m to 1600m to 2017-18, HK$12,408,150, Hong Kong Classic Mile, L, HKJC Power of Music H., Parmigiani Excellent H., Tak Ku Ling H., Geranium H., Tai Ping Shan H., 2d HKJC Flying Dancer H., 4th Hong Kong Classic Cup, L.
HUSSON EAGLE (11g, Royal Academy, Snippets). 6 wins to 1400m to 2017-18, A$1,101,268, MRC Doveton S., L, GCTC Magic Millions Sprint, MRC Bill Collins H., VRC AR Creswick Series Heat H., Mildura Cup, 2d ATC Christmas Classic H., L, VRC Kensington S, L, Sports H., L, Country Achiever Gerald Egan H., Carbine Club 2YO P., MRC Catanach's Jewellers 2YO H., 3d MRC Blue Sapphire S., L, Oakbank S., L, MRC (Mornington) Hareeba S., L, VRC School Holiday Program H., Sports H., ATC Farewells Alan Thomas H., 4th SAJC William Hill S., Gr.2, VRC Bob Hoysted H., L, MVRC St Albans S., L.
PERON (09f, Flying Spur, Prego). 6 wins to 1400m, A$291,650, Ipswich TC Gai Waterhouse Classic, L, BRC Novotel Brisbane Airport P., Carlton Mid H., GCTC CTJ Diamond H., 2d VRC Blazer S., Gr.2, ATC Sheraco S., Gr.3, VRC Bob Hoysted H., L, 3d BRC Rhino Water Tanks H., 4th BRC Dane Ripper S., Gr.2, ATC Darley Crown, Gr.3. THE HUNTRESS (10f, Western Symphony, Marscay). 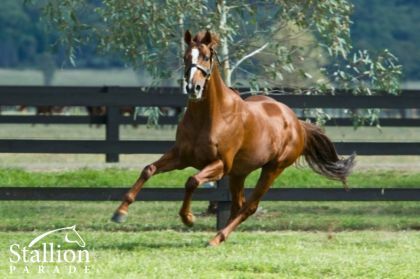 2 wins at 2, A$124,350, MRC Redoute's Choice S., L, Browns Sawdust & Shavings 2YO H., 2d MVRC Mitchelton Wines P., 3d SAJC National S., Gr.3. AFFABLE (09f, Redoute's Choice, Dr Grace). 2 wins at 2, A$95,175, VRC Gibson Carmichael S., L, 2d MRC Routley's 2YO H., 3d MRC Hyland Race Colours 2YO H.
HUSSOUSA (09f, Redoute's Choice, Centaine). Winner at 2, A$170,000, ATC Gimcrack S., L, 2d ATC Reisling S., Gr.2, Silver Slipper S., Gr.2, 3d ATC Widden S., L.
Ferment (09g, Tabasco Cat, Relaunch). 10 wins-1 at 2-from 1100m to 1600m, A$397,230, MRC Laura Butcher Memorial 2YO P., BRC Powerade H., Ray White Ascot H., ATC Tab.com.au H., Turf Club H., BRC Pitcher Partners H., Signsite H., 2d ATC Australian Turf Club H., 3d MRC Blue Diamond Prelude (c&g), Gr.3, BRC Carlton Draught H., Bottle-O H., ATC Blackwoods Apex Tools H.
Private Secretary (09f, Danehill, Secretariat). 8 wins to 1300m, A$1,043,060, GCTC Magic Millions P., ATC Mark Moran H., Liverpool City Council H., McGrath Estate Agents H., 2d ATC Wenona Girl H., Gr.3, SAJC Proud Miss S., Gr.3, Qld Tatt's RC Memorial Classic, L, GCTC Magic Millions Fillies & Mares H., ATC TAB Quaddie H., 3d VRC GH Mumm S., Gr.3, ATC Declaration of War H.
Hi Son (09g, Danzero, Pleasant Colony). 8 wins-1 at 2-from 1200m to 2200m, A$342,500, BRC Brisclean H., Makers Mark H., Ray White Sonya Treloar H., Canadian Club H., Sky Racing World H., Sky Racing App H., 2d Qld Tatt's RC Mercedes Benz Mile H., L, BRC Midori H., Bell Plumbing H., GCTC Therock at Bombora Downs H., SCTC National Construction Management Pty Ltd H., BRC Liberal National Party H., 3d BRC Gunsynd Classic, Gr.3, Easy as Pool Cleaning H., Coca Cola H., SCTC Coastline BMW 4 Series H.
Miss Husson (10f, Desert Prince, Star Watch). 6 wins from 1200m to 2000m, A$160,450, BRC Andrew Bensley No 1 in News H., Yellowglen P., Ipswich TC GCTC Melbourne Cup Packages H., Sky Racing P., SCTC Bruce McLachlan Memorial H., 2d Sunshine Coast Guineas, Gr.3, 3d Ipswich TC Sirromet Winery H., SCTC 7 Sunshine Coast Local News H.
Sister Souss (10f, Redoute's Choice, Centaine). 2 wins at 1350m, 1800m, BRC Mittys P., 2d BRC Bundaberg Distilling Company H., 3d Queensland Oaks, Gr.1, 4th BRC Doomben Roses, Gr.2. Looks Like the Cat (11g, Fraar, Rory's Jester). Winner at 2, A$209,500, HK$516,350, BRC XXXX Gold 2YO H., 2d VRC Danehill S., Gr.2, BRC Champagne Classic, Gr.2, MRC Caulfield Guineas Prelude, Gr.3, HKJC Cotton Tree H., 3d BRC JJ Atkins S., Gr.1, Sires' Produce S., Gr.2, HKJC King Kwong H.
Lake Husson (08f, Numerous, Meadowlake). Winner at 2, 2d La Plata Clasico Andres S Torres, Gr.3. Mr Epic (12g, Fasliyev, Thunder Gulch). 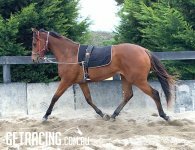 9 wins-1 at 2-from 1200m to 2000m to 2017-18, A$712,100, BRC Adrenalinethoroughbreds.com.au H., Powertrain 3YO P., Programmed Property Services H., DA Ernst H., Qld Tatt's RC Allan Rohde 60th H., GCTC NHP Electrical Products H., BRC Trackside Open Air Cinema H., Hughes Equipment Hire 2YO P., Rockhampton JC Capricornian Community P., 2d BRC Tails S., L, Help Enterprises H., SCTC Stanley River Thoroughbreds H., 3d BRC Membership H., Brett Whalley & Co H., Mother Mary Magdalan Burke H., GCTC Haymans H., Ipswich TC XXXX Summer 2YO P.
Capetown Hussey (12f, Cape Cross, Pennekamp). 8 wins from 1400m to 1800m to 2017-18, A$239,500, BRC Bentleys CA H., Superior Pak H., Relaxed Racing H., GCTC Vilis Famous Flaky Pastry H., 2d Qld Tatt's RC Members' Cup, L, BRC Loads of Laughter! H., Bremer Ford Crease Monkeys P., Beaudesert RC Derby Day Races H., 3d Gold Coast S., BRC James Boags Premium P.
Dane Hussler (11f, Danehill, Dancing Brave). 7 wins from 1400m to 3600m to 2017-18, A$245,465, Oakbank RC Jericho Cup Prelude H., Golding Wines H., 2d Bendigo JC Brendan Drechsler Hurdle, MRC Tixstar Marathon Final H., 3d SAJC Morphettville Guineas, L, James Boag's Premium H., 4th VRC Andrew Ramsden S., L.
Lucky for You (09g, Strategic, Night Shift). 6 wins-2 at 2-to 1200m, A$163,505, VRC Living Legends 2YO H., BRC Stowe & Eye Lighting H., 2d BRC Davking H., Ascend Sales H., Quest Breakfast Creek H., Channel Seven H., Keno Hit the Jackpot H., 3d MRC Redoute's Choice S., L, BRC Navaska H., 4th VRC Danehill S., Gr.2. Pop 'n' Scotch (10g, Galileo, Zabeel). 4 wins from 1800m to 2200m, NZ$3,000, A$254,915, BRC Quest Breakfast Creek H., Ipswich TC Queensland Times Winter Provincial Stayer Series Final H., 2d BRC Queensland Cup, L-3 times, Carnival High Tea H., 3d SCTC Queensland Cup, L, GCTC Smoke Alarm Solutions H.
Will be Amazed (09g, Redoute's Choice, Lomond). 4 wins to 1350m, 2d Macau Sand Classic Cup, 3d Macau Summer Trophy, L, BRC Sky Racing Brisbane Bloodstock Bonus 2YO P.
Pay Up Bro (12g, O'Reilly, Super Gray). 3 wins at 1400m, A$187,820, MRC Le Pine Funerals H., 2d Bendigo JC Gold FM 98.3/ & AM 1071 H., 3d Geelong Classic, L, VRC Melbourne Mile H., 4th VRC UCI S., L.
Star of Husson (10f, Danetime, Laranto). 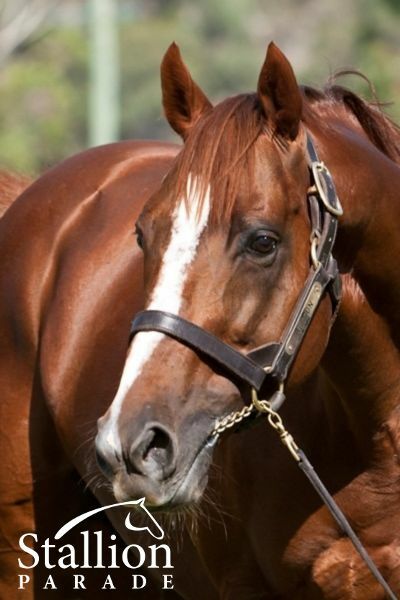 3 wins at 1700m, 2100m, A$121,160, WATC Westspeed Stayers Bonus H., 2d WATC Belmont Oaks, L, Belmont Classic, L, Westspeed Nursery H., Perthracing.com.au H., 3d WATC Merry Christmas to All H.
His sire sons include Sabat Husson, etc. HUSSON (c by Hussonet (USA)) 5 wins. See below. Candy Elisse. 2 wins at 1000m in 2018-19 in Argentina. 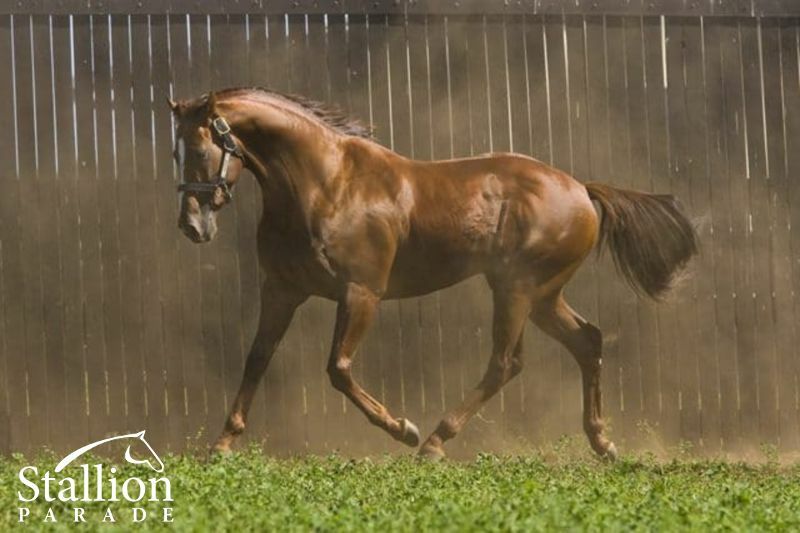 Viejo Mundo (c by Hussonet (USA)) 4 wins from 1100m to 1800m in Chile. Sire. Mr. Husson (c by Numerous) 3 wins at 1200m, 1400m in Argentina. Bell Emper (f by Emperor Jones) 2 wins at 1400m in Argentina. King in the Sky (c by The Great Shark) 2 wins at 2 in Chile, 4th Club Hipico Clasico Luis Subercaseaux E, L.
Bell Scape. Winner at 2 in 2018-19 in Argentina. El Rincon (c Hussonet) 11 wins in Chile, 3d Hipodromo Chile Clasico Francisco Astaburuaga Aritzia, Gr.3, 4th Valparaiso Clasico Asociacion de Propietarios de Vina del Mar, L.
Sunday for Dance (c Hussonet) 8 wins in Chile. Villa Elisa. 3 wins. See above. Honneur. Winner at 1200m in Argentina, 3d San Isidro Especial Quebramar. India Nistel (f Van Nistelrooy) 4 wins at 1000m in Argentina, 2d Palermo Handicap Final Meeting, 3d Palermo Clasico General Arenales, Gr.3. Mr Ninmar (c Footstepsinthesand) 3 wins at 1300m, 1500m in Peru, Monterrico Clasico Marina de Guerra del Perú, 2d Monterrico Clasico Batalla de Junin, Clasico Augusto N Wiese, 3d Monterrico Clasico Mario Manzur Chamy, L, Clasico Rio Pallanga, Clasico Grozny, 4th Monterrico G.P. Nacional Augusto B Leguia, Gr.1, Clasico Polla de Potrillos, Gr.1. Lionel Hutz. Winner at 1100m in 2018-19 in Argentina, 2d San Isidro Clasico Eduardo Jara. PUERTA DE CRISTAL (f Ocean Terrace) 4 wins-3 at 2-from 1000m to 1600m in Chile, Club Hipico Clasico Julio Subercaseaux Browne, Gr.3, Clasico Carlos Cousino Goyenechea, L, Clasico El Debut Potrancas, Clasico Carabineros de Chile, 2d Club Hipico Clasico Cotejo de Potrancas, Gr.3, Hipodromo Chile Clasico Carlos Allende Navarro, Gr.3, Club Hipico Clasico TV Nacional de Chile, 3d Hipodromo Chile Clasico Diario la Tercera, 4th Club Hipico Clasico Arturo Lyon Pena, Gr.1. Producer. Maestresala. 8 wins at 1000m, 1100m in Chile, Hipodromo Chile Premio El Guindo, 3d Hipodromo Chile Premio Una de Oro, Premio Carti. El Baile (c Hussonet) 2 wins in Chile. City Emperor. 6 wins to 1300m in Argentina, 3d La Plata Handicap Eduardo Casey. DOLLY TOSS (f Egg Toss) 6 wins in Argentina, San Isidro Clasico Particula, Gr.2, Clasico Juan Shaw, Gr.2, Palermo Clasico Circulo de Propietarios de Caballerizas, Gr.3, Clasico Chile, Gr.3, 2d Palermo G.P. Ignacio e Ignacio F Correas, Gr.1, Clasico Apertura, Gr.3, 3d San Isidro G.P. La Mission, Gr.1, Palermo Clasico Ramon Biaus, Gr.2, Clasico Apertura, Gr.3, 4th San Isidro G.P. Copa de Plata, Gr.1. Producer. DOLAR FITZ (c Fitzcarraldo) 4 wins in Argentina, Mendoza Clasico Vendimia, Gr.3. Sire. DOLLY WELLS (f Poliglote) 3 wins-2 at 2-to 1500m in Chile, Hipodromo Chile Clasico Hernan Braun Page, L, 3d Hipodromo Chile G.P. Criadores Salvador Hess Riveros, Gr.2, Santa Anita San Gorgonio H., Gr.3. Producer. Race Record: 5 Starts 5-0-0 257,150Arg$. Champion 2YO Colt in Argentina in 2006 & Champion Miler in Argentina in 2007-08. 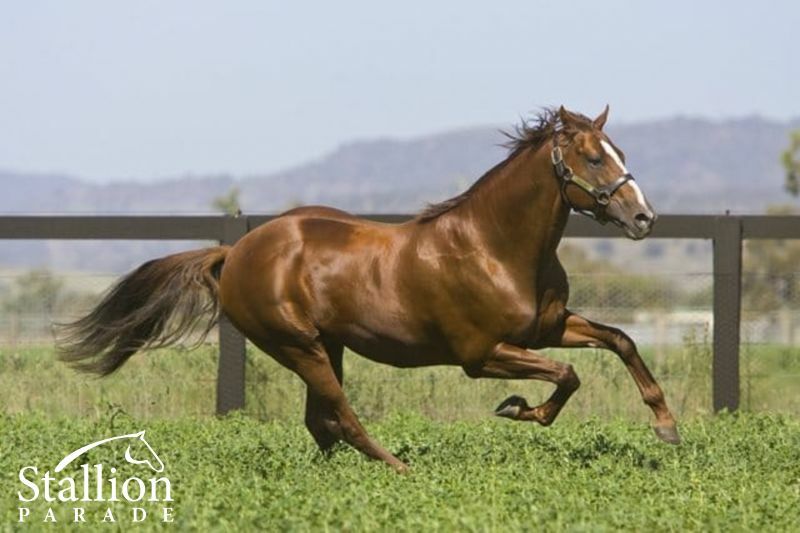 An unbeaten superstar on the track, Husson was Champion 2YO of Argentina in 2006 and Champion Miler at three, before embarking on a stud career in Australia following in the footsteps of his champion sire Hussonet, a popular member of the Arrowfield Stud roster for many years. A highly successful and versatile sire, Husson is noted for producing his share of fast two year-olds such as this season’s Golden Slipper runner-up Frolic as well as older horses with real longevity such as his dual Group I winner and $2million earner Lucky Hussler. Husson has been a star performer at the $10million Magic Millions raceday at the Gold Coast in January siring Private Secretary to win the Magic Millions Plate for fillies and mares this year and Husson Eagle to win the Magic Millions Sprint and Lucky Hussler to win the Magic Millions Cup last year. Sire of 11 stakes-winners headed by Lucky Hussler with progeny earnings topping $18million. Completely free of Danzig, so is a great outcross and a proven one. 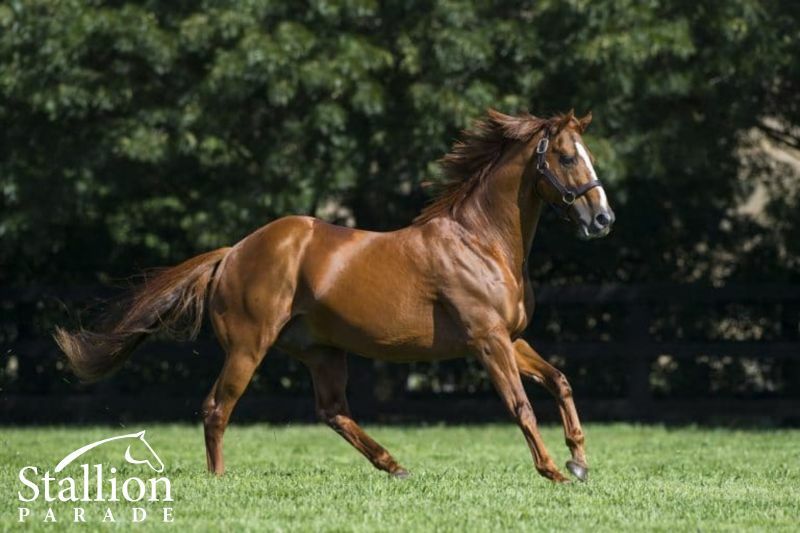 By Hussonet, who has established a powerful nick with Danehill to produce over 40 stakes-winners including six Group I winners.